New! The contemporary new alternative to Diamond Series. Fresh design. USB charging. Same faceplate! 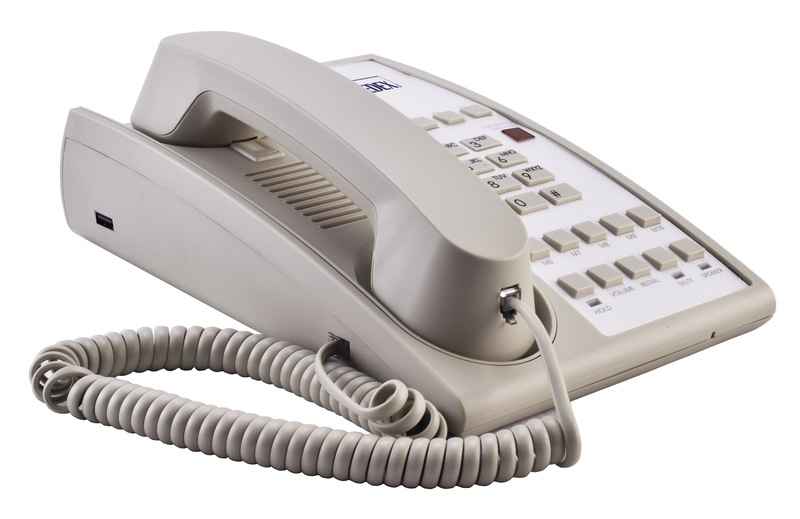 How do you improve upon Diamond Series, the most popular hotel phone in the world for 33 years running? We began the development of D Series with a fresh new contemporary design, robust ergonomic open handset, and guest smart device USB charging ports, but maintained the same Diamond faceplate area...so Diamond Series owners may easily upgrade with existing faceplates. 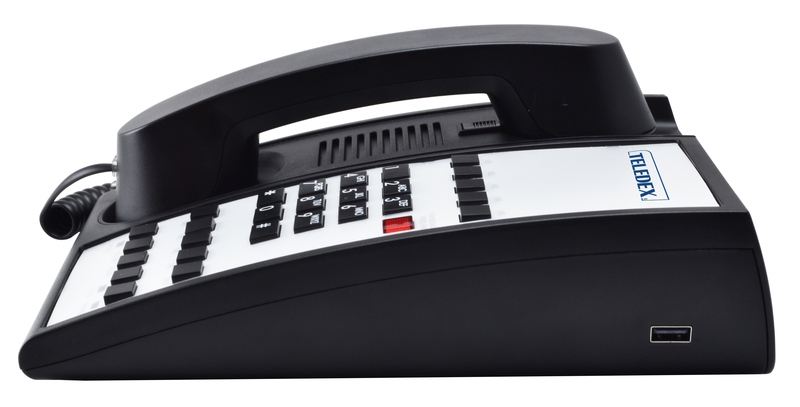 D Series sets the new standard in analog corded hotel phone telephony in single or two-line models with built-in USB charging ports, up to 10 programmable guest service keys, patented OneTouch voice mail retrieval technology, and optional speakerphone. 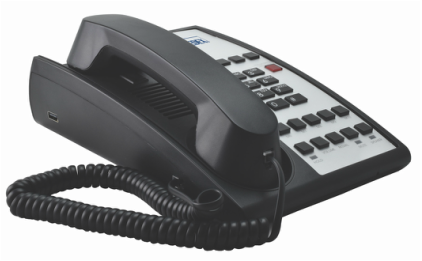 D Series, like all Teledex products, is thoughtfully designed to meet emerging guest preferences, and to last for many years in demanding hospitality environments.